I’m looking for such a man, whom I could call my soul mate. Welcome to my profile! I am Ekaterina. I live in Kiev, Ukraine and i am 30 Jahre alt. I am respectful, attentive, devoted girl Ohne Kinder. I have Schlank body, my height is 5'6" - 5'7" (166-170cm) and my ethnicity - Ich sage es dir später. I speak English, Ukrainian, Russian. I am a state employee. I am Single and my religion is Ich sage es dir später. I seek man for Freizeitpartner, Freundschaft, Ehe, Beziehung, Brieffreund. He must be 30-49 y.o. and must be intelligent with good sense of humor. My heart is openly for a nice man to be happy together. Welcome! I am Irina. I live in Kiev, Ukraine and i am 43 Jahre alt. I am tender, loving, honest young lady Ohne Kinder. I have Schlank body, my height is 5'10" - 5'11" (176-180cm) and my ethnicity - Ich sage es dir später. I speak English, Russian, Ukrainian. I am a Manager Online Store. I am Single and my religion is Ich sage es dir später. 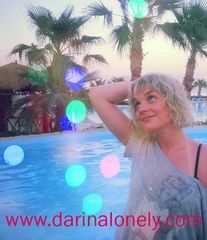 I seek man for Freizeitpartner, Freundschaft, Ehe, Beziehung, Romantik, Reisepartner, Brieffreund. He must be 40-56 y.o. and must be honest and family-oriented man. Want to know more about me? I am Tatyana. I live in Kiev, Ukraine and i am 46 Jahre alt. I am kind, well educated, curious girl Ohne Kinder. I have Schlank body, my height is 5'4" - 5'5" (161-165cm) and my ethnicity - Kaukasisch. I speak English, Russian, Ukrainian. I am a employee of the bank. I am Single and my religion is Christ. I seek man for Ehe, Beziehung. He must be 45-56 y.o. and must be understanding, helpful and faithful. I want to get acquainted with a man for serious relations. Hello! My name is Ekaterina. I live in Chernigov, Ukraine and i am 32 Jahre alt. I am optimistic and very kind person Ohne Kinder. I have Schlank body, my height is 5'4" - 5'5" (161-165cm) and my ethnicity - Ich sage es dir später. I speak English, Ukrainian, Russian. I am a manager. I am Single and my religion is Orthodox. I seek man for Freizeitpartner, Freundschaft, Ehe, Beziehung, Romantik, Beiläufig, Reisepartner, Brieffreund. He must be 30-51 y.o. and must be kind, reliable, honest, intelligent.